Patek Philippe has always aimed for perfection by creating timepieces of unrivalled quality and reliability, the uniqueness and exclusiveness of which makes them rare and precious pieces, a unique legacy to be handed down from one generation to the next. 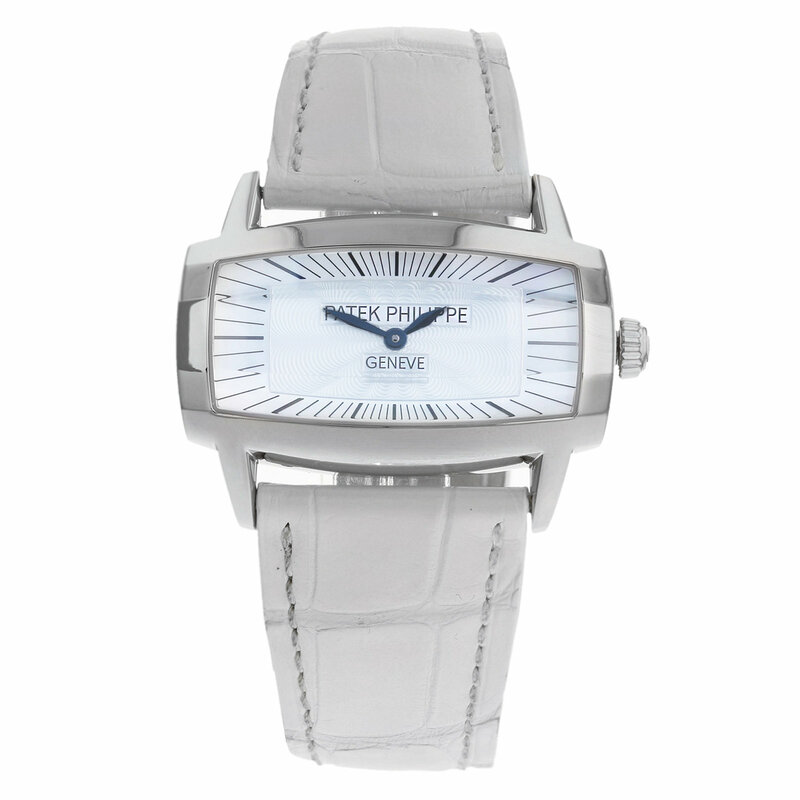 This Pre-Owned Patek Phillipe Gondolo White Gold Ladies Watch comes equipped with a 38mm, 18ct white gold case, which houses the mother of pearl dial and hand-crafted quartz movement that provides the power. Attached to the case is a leather strap, fitted with a buckle clasp for added security on the wrist. The timepiece is water resistant up to 30 metres. Pre-Owned Information Condition - Some signs of previous wear may be present on the watch. Packaging - Box and Paperwork Included. Warranty - 24 Month warranty provided. This Is an Image of the Actual Watch.